The E-bike 100 is IMS novelty being patented. Ideal for motorcycle fans or experienced pilots. The E-100 is the perfect bike for learning beginners. 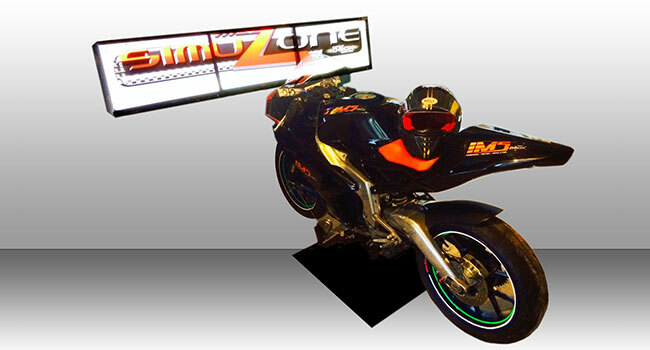 This is a real race bike transformed into simulator. The E-bike 100 keeps all devices in a real motorcycle and works with the display of speed and tachometer Led. It has a system replicating the sensations of engine vibrations.